How much do you really need to say to put a sentence together? When a language seems especially telegraphic, usually another factor has come into play: Enough adults learned it at a certain stage in its history that, given the difficulty of learning a new language after childhood, it became a kind of stripped-down “schoolroom” version of itself. only a few languages have been taken up as vehicles of empire and imposed on millions of unsuspecting and underqualified adults. So—taking all of this into account, I have come up with five primary elements involved in increasing your fluid intelligence, or cognitive ability. Note that this stock market simulation assumes a portfolio that is invested in 100% US Stocks. 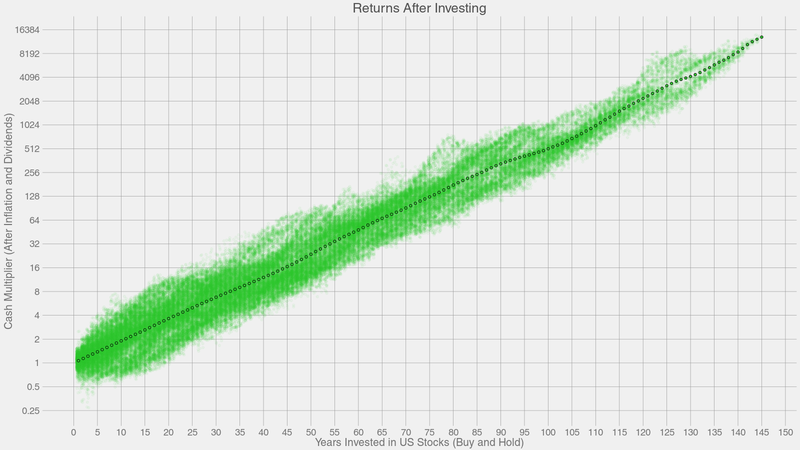 While a lot of the results show that 100% Stocks can generate an impressive return, this is not an ideal portfolio. In addition to this, this curve only looks at one lump sum of initial investing. Browsing through news articles, two parallel worlds of millennials emerge. The first is inhabited by overtly political youth advocating for controversial initiatives like campus safe spaces. The second is filled with young consumers who are happy and prosperous yet prefer style over stuff–which, upon closer examination, is a euphemistic way of saying they cannot afford to buy much stuff anyway. With all the confusion over and misrepresentations of younger generations, is it worth trying to define them at all? If recent events are any indication, the answer is yes—if defined correctly. The inability of older generations to see how the economy has been fundamentally restructured since the Great Recession leads to short-sighted policies that young people, not boomers, will have to live with in the long run. What struck me about the idea was that there was a way to focus sound. It was a piece of mesh of some sort, which acted as a lens for ultrasonics. … Imagine using such lenses to focus sound onto a plane of microphones. Just like light in a camera. One microphone is one pixel. An ability to see sound.